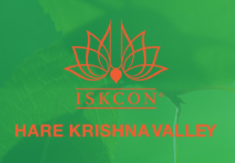 If you are looking for projects around the world that are similar to Krishna Village in nature and intent, this page provides a list of ISKCON run farms, centres and retreat spaces who we regard as our brother and sister projects worldwide. Located in Otford near Sydney, Govinda Valley is an environmentally friendly retreat centre that provides a clean, safe and nurturing space for group events. The lovely team, along with a group of 10-15 volunteers, runs beautiful organic gardens and hosts events run by yoga schools, meditation groups and the broader community. Located in Victoria, about 2hrs west of Melbourne, Hare Krishna Valley serves as an organic farming community growing and selling produce locally. It offers accommodation for visiting guests and welcomes volunteers who are happy to embrace the 'natural living, high thinking' lifestyle. 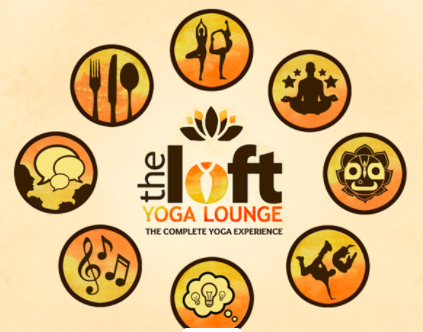 Located in down town Auckland, the Loft offers yoga classes, workshops, regular kirtans and a weekly free spirit festival that combines a joyous community gathering with delicious food and invigorating kirtan. As an entirely volunteer run non-for-profit, the Bhakti Lounge in Wellington provides yoga classes, workshops, kirtan and meditation sessions, as well as delicious vegetarian food to the local bhakti yoga community. New Zealand's Krishna Farm is located on the South Island, about 5.5hrs north of Christchurch. Aside from home grown organic produce and a cow protection program, the temple and community project offers farm stays and great volunteering opportunities in beautiful natural surroundings. This award winning sustainable farming community and retreat centre is located about 100km from Mumbai. Under the guardianship of Radhanath Swami, it provides seminars and retreats as well as sustainable farming and a vibrant ashram and school for children living in the area. Situated in Jandelsbrunn, Bavaria, this beautiful farming community and bhakti yoga ashram called "Löwentempel" offers courses, yoga classes, festivals, a guest house and volunteering options. Located about 80km from Tours, in the heart of France, lies the beautiful castle and eco community 'Nouvelle Mayapur'. Activities include running organic gardens and orchards and organising occasional festivals. A volunteer project is currently being developed. Located about 2hrs south-west of Budapest, Krishna Valley (Nava Vraja-dhama) is Europe's biggest eco village. It is guided by Sivarama Swami and encompasses a vibrant bhakti yoga community and hosts about 25-30.000 visitors/year. Located in the outskirts of Florence, this beautiful spiritual oasis consists of a beautiful 16th century building, art gallery, restaurant and temple and visitors are welcome anytime. 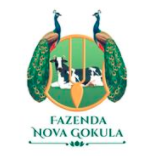 Located 2.5hrs north-east of São Paulo, Nova Gokula is a vibrant farming community, temple and retreat centre with a focus on spirituality and sustainable living. Half way between São Paulo and Rio de Janeiro, this ashram and ecovilla is an ecological and spiritual sanctuary. It offers eco tourism and a variety of courses, based on the principles of Krishna Consciousness and applied permaculture. This beautiful holistic spiritual centre, temple and farming community lies 40mins south of Glasgow and is a true 'sanctuary of peace', as its name suggests. You can visit the organic gardens, book accommodation and - if you are keen - stay and live there as a volunteer. 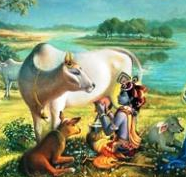 One of ISKCON's largest and most established farms in the West, this amazing place offers a temple and cow protection program as well as retreat centre and volunteer program. Located about 2hrs north of Baltimore in Pennsylvania, this beautiful 350 acre community farm promotes the principles of spirituality, sustainability and community care. Visit the beautiful gardens and protected cows, admire the peacocks and stay around as a volunteer if you like. Through our friends, volunteers and trainees we have heard about other centres around the world who offer great experiences that - whilst not necessary Krishna Conscious - offer great experiences and are, in a broad sense, in line with our philosophy, e.g. offering vegetarian food. Located about 1.5 hours North West of Ubud, this non-denominational centre is dedicated to meditation and yoga. Steiner philosophy inspired Hohepa runs 4 centres (schools and farms) for children and adults with disabilities and welcomes volunteers to help, learn and grow. 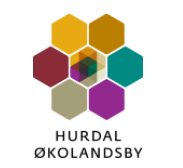 30mins from Oslo airport, Hurdal offers AirBNB stays as well as volunteer options in their organic gardens. Their holistic way of life includes yoga classes, massages and an organic cafe and bakery onsite.